Mayfair is one of the most expensive districts in London. Actually, scratch that. Mayfair is one of the most expensive districts in the world. The affluent borough calls for a shoe equally as stylish and sophisticated. This Mayfair derby toecap is an elegant dress shoe made from premium quality aniline leather. The TPR forepart and heel for improved durability, and grip is great for when you're sprinting around your city centre office screaming random demands and requests. Now go and assert yourself. You ruddy banker. 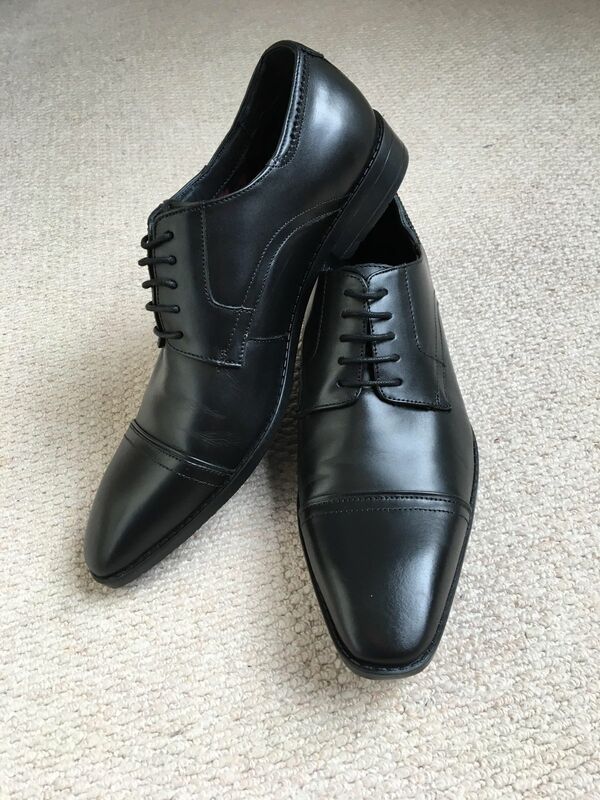 Simple and elegant black derby, which will be perfect for pairing with a range of formal suits or for smart casual cress codes with darker trousers. The shoe is relatively slim while still remaining true to size: there was no need to order a different size than normal. I'm very pleased with the purchase! Sandy C. Reviewed by Sandy C.
The size was a perfect fit. Very comfortable and very satisfied. I will order thru them again. I have been using Goodwin Smith for a couple of years & I am 100 percent happy with the company, product & price I have had to return an item & it was the easiest return I have ever done. I can't say enough about them. GS is great! Great, professional look, comfortable and durable. Fred T. Reviewed by Fred T.
Very happy with these shoes. First time ordering online and the size turned out very well. They are also definitely much more comfortable than I'm used to finding locally. So far, in about 6 months, they have held up quite well to regular use.